Guess what? 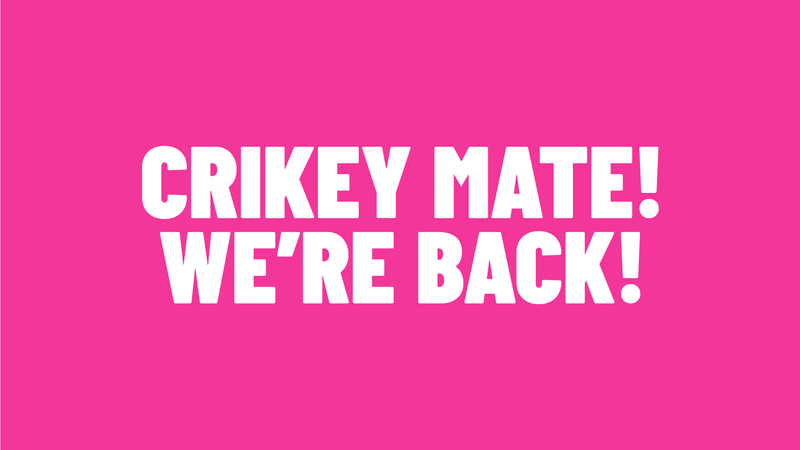 The BB Team are heading back Down Under! After our year long break, we’re heading back to the land of Koalas and Kangaroos equipped with bingo books, unicorns and a whole lotta double enders. Bongo’s Bingo will be returning to Sydney and Brisbane this June for our fifth tour of Australia. We will be at the Big Top in Sydney on June 8th and The Tivoli in Brisbane on June 7th ready to cause mayhem and madness like never before. If you’ve got friends living down under, make sure you let them know we’re back in town this June and we won’t be coming quietly! This is bingo but not as you know it...dance offs, insane prizes, cash prizes and of course we’ve got a few surprises up our sleeves too. Tickets are on sale NOW! They will be in very high demand this time round as we only have the 2 dates up for grabs, so act quick. We’re bringing the original party bingo all the way from the UK, this isn't one to be missed. Tickets for Sydney available via Moshtix and Big Top Sydney’s website. Tickets for Brisbane available via Ticketmaster. These are both linked to through our website too!